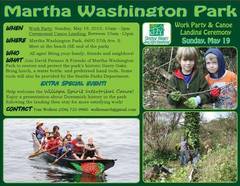 Join the Friends of Martha Washington Park as we welcome the Willapa Spirit Intertribal Canoe. After the landing ceremony, we'll continue our work to protect and restore the park's historic Garry Oaks. WHO: All ages! Bring your family, friends and neighbors! WHAT: Bring lunch, a water bottle, and preferreed hand tools. Some tools will also be provided by the Seattle Parks Department. Welcome the Willapa Spirit Intertribal Canoe! 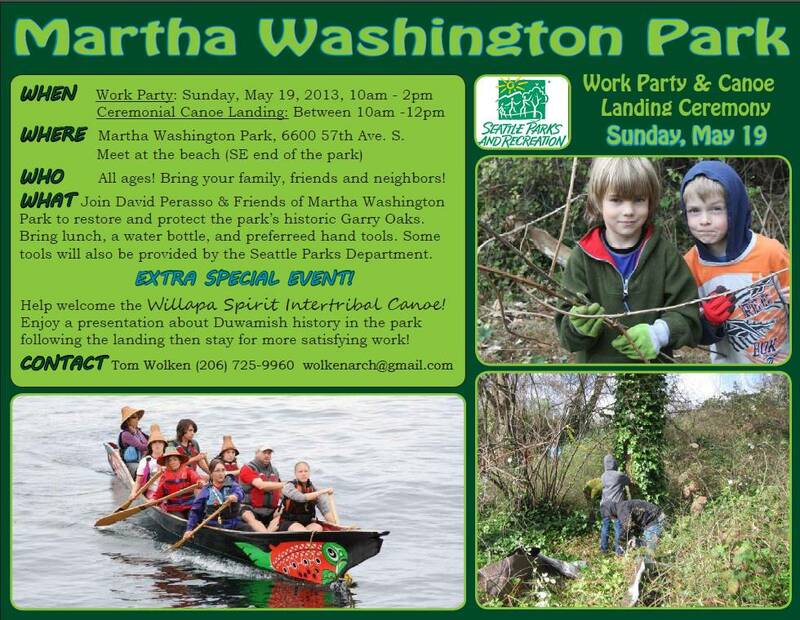 Enjoy a presentation about Duwamish history in the park following the landing then stay for more satisfying work!